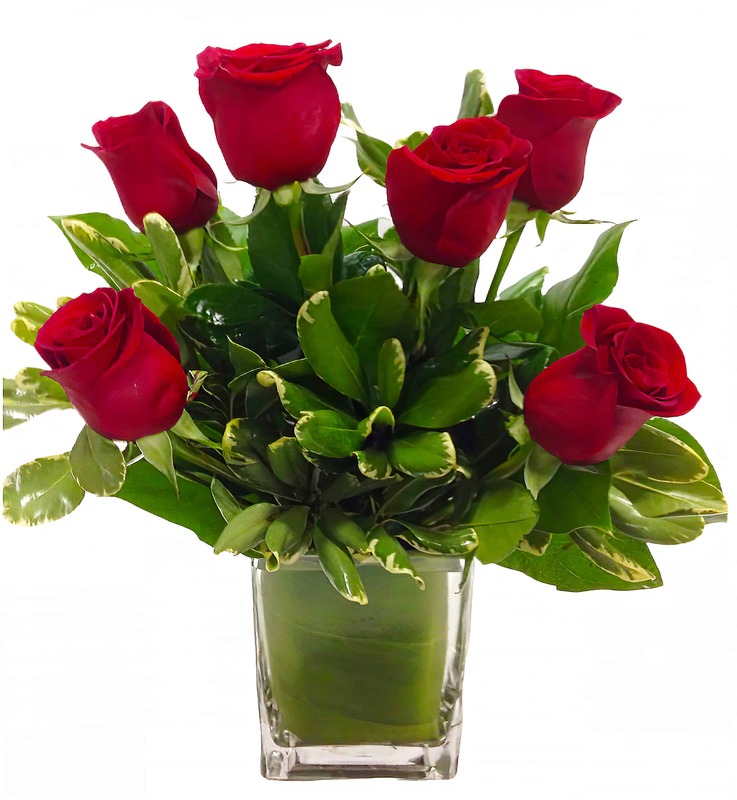 This traditional arrangement of half a dozen Red Roses speaks volumes of love to it's recipient. It comes in a modern rectangle vase lined with a green ti leaf and blanketed in a mass of greenery. It's approximately 15" in height and 8" wide.